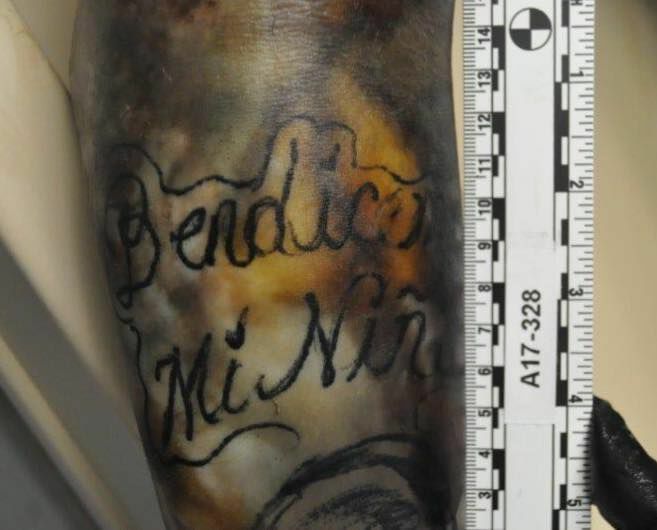 PEÑITAS — Sheriff’s investigators are asking for the public’s help to identify a man whose body was found in the Rio Grande last month. Hidalgo County Sheriff’s Office deputies responded to a rural area south of Peñitas on Dec. 10, 2017, after receiving a call from Border Patrol agents who discovered the body, according to a Facebook post by the department. There were no visible signs of foul play, and the man’s autopsy results are still pending. At the time of his death, the man was wearing blue jeans with a red, white and blue canvas belt and black sneakers. He has tattoos on his arms. 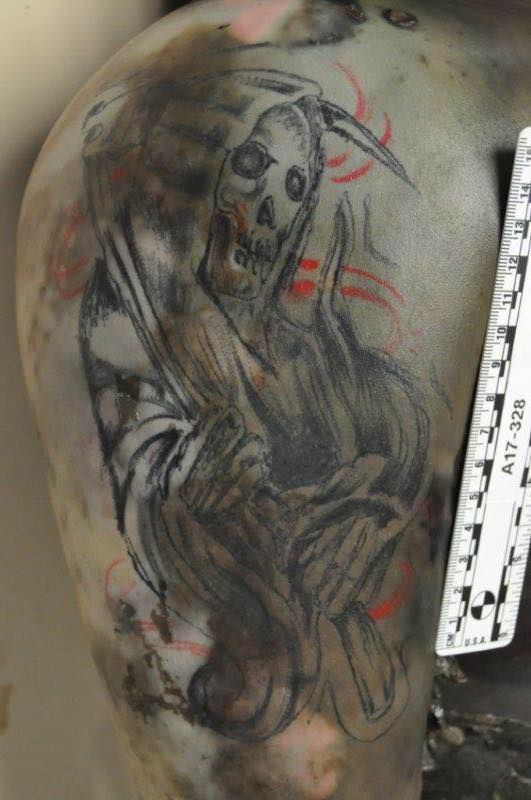 According to the social media post, he has two skulls tattooed on his lower forearm, the words “Bendiceme Mi Nina” on his upper forearm and a grim reaper tattoo on his upper right forearm. 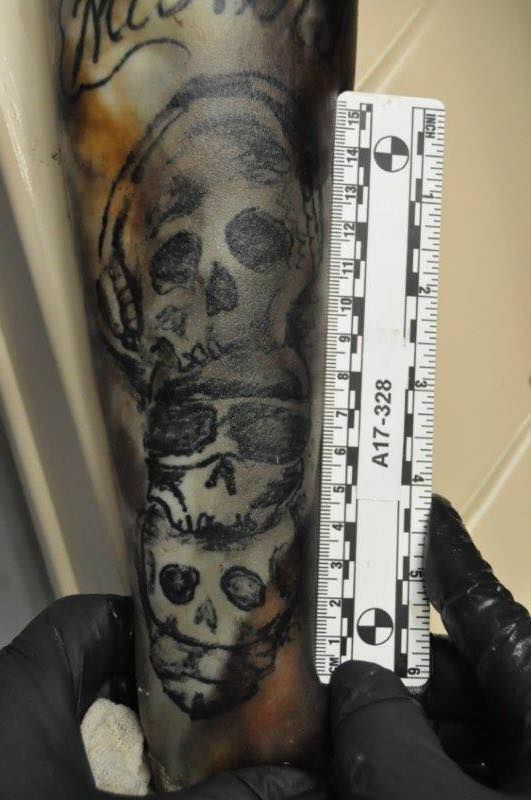 A tattoo is seen on the body of an unidentified man pulled from the Rio Grande in December 2017. Anyone with information on the man’s identity is asked to call the Hidalgo County Sheriff’s Office Major Crime Unit at (956) 383-8114 or the anonymous crime stoppers hotline at (956) 668-8477.